Impeccably renovated 2/2.5 unit with brand new floors and kitchen. 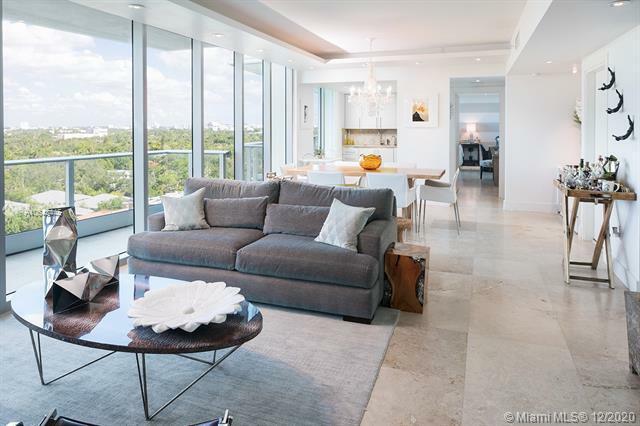 Live in this spacious split bedroom apartment with deep terraces that offer an amazing view of Coconut Grove and Coral Gables. Enjoy the building's resort like amenities that include tennis court, fitness center, spa, kids playground, summer kitchen, infinity lap pool, cabanas, among others. Unit features Zub-Zero, Miele and Bosch appliances (brand new washer and dryer), master bedroom with his and hers walk-in closet and huge master bath. Across from Sailboat Bay, Fresh Market. Steps away to shops, great restaurants, entertainment and parks. Unit comes with 1 parking space and 1 valet parking.